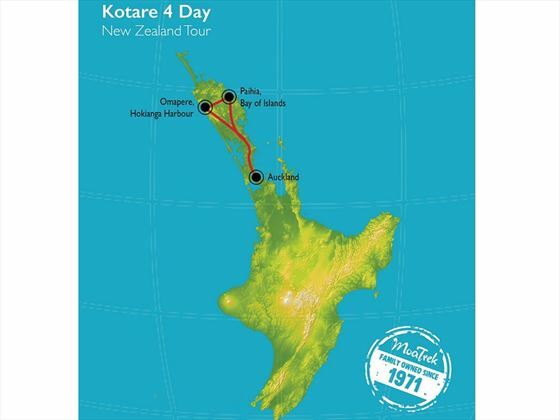 Please note: The prices listed are for the tour only and do not include international flights; this tour would be a great add-on option as part of your New Zealand holiday. 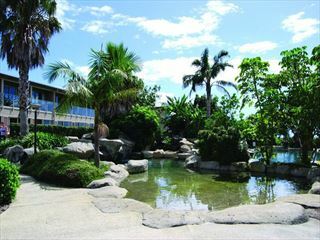 On day one you’ll join your tour at the Viaduct Harbour, before departing to Muriwai Beach on the west coast of Auckland. 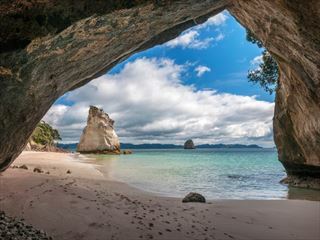 At this beautiful beach, a real kiwi favourite, you’ll be able to explore the cliff-top to see views of the Tasman Sea and the Muriwai gannet colony. 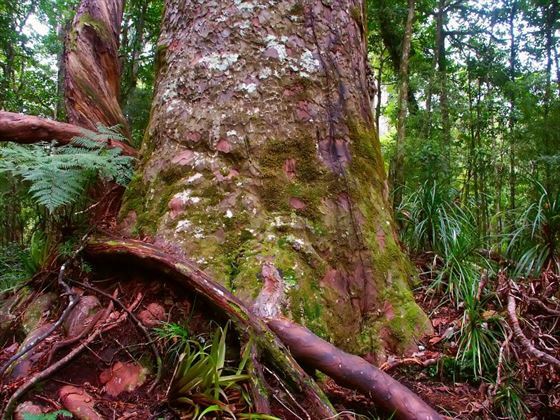 Afterwards, you’ll continue north to Matakohe Kauri Museum to learn about the Kauri Forests, and spend the afternoon discovering the ancient Waipoua Forest. In the evening you will be welcomed with a special 'Karakia' from our hosts before relaxing over dinner in our beachside accommodation for the night amongst new friends. 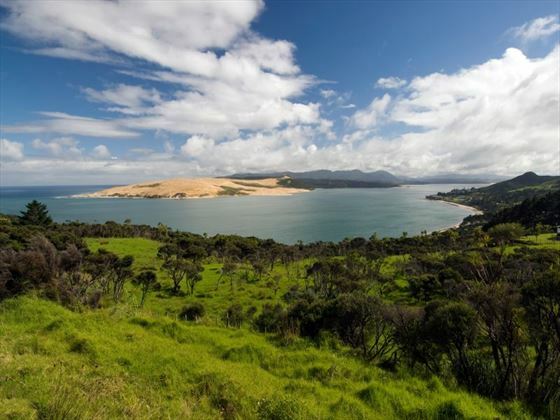 Start your day with a cruise across Hokianga Harbour with your local guide, Pete. 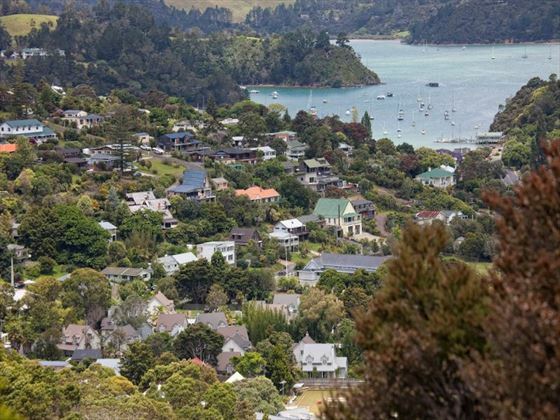 He'll tell you why all kiwis have heard of Opononi and take us on our first foray across the harbour for a walk to explore the gigantic sand dunes – you could even add a bit of adrenaline to the mix and body board down them. 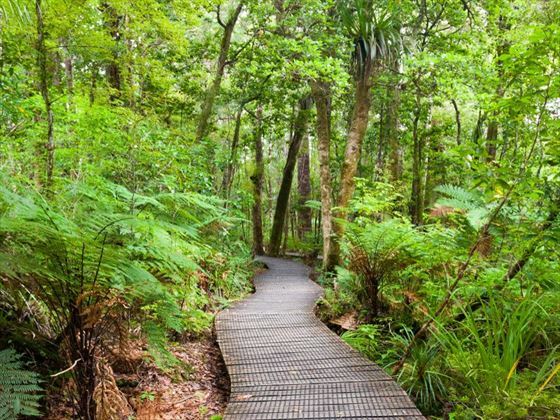 You’ll then visit Kerikeri whilst journeying onto Waitangi in the Bay of Islands, ending at Waitangi Treaty House, where local Maori signed the treaty with Queen Victoria’s representatives in 1840. 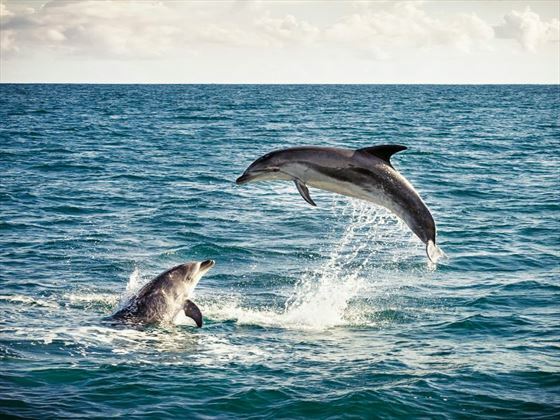 From the town of Paihia you’ll take a scenic cruise out to the Bay of Islands, where you can either take a dolphin cruise on a catamaran and possible swim with the elegant animals, or take a trip through the famous Hole in the Rock. 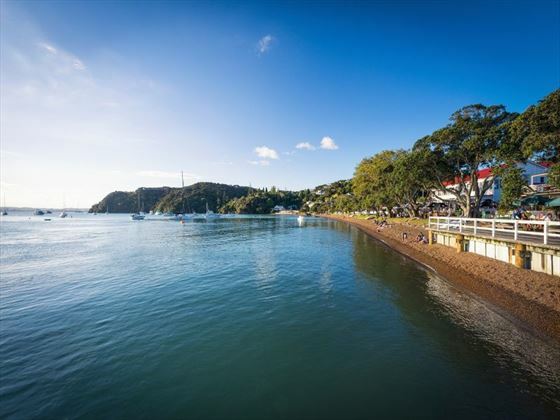 In the afternoon you’ll disembark in Russell, the country’s first capital with a vibrant past. The next few hours are at your leisure – we’d recommend ending the day with an ice cold refreshment at the historic Duke of Malborough, overlooking the Russell waterfront. 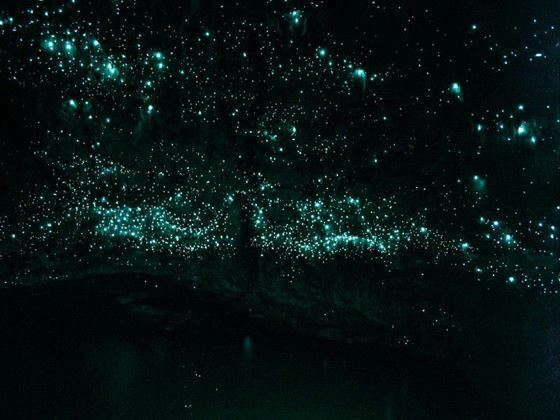 On your last day you’ll journey to Waiomio Valley, where a Kawiti family will guide you through the secluded Kawiti Caves, exploring the Milky Way cavern filled with thousands of glowworms. 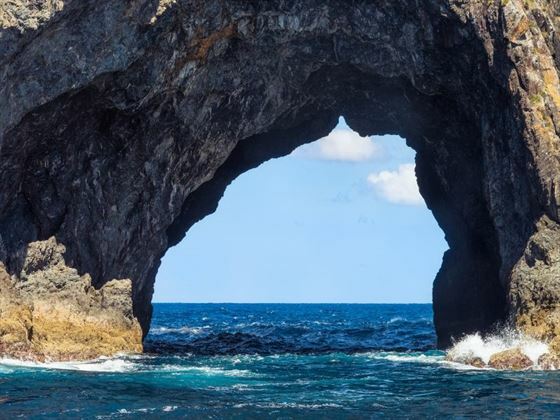 The caves are named after the famous Maori Chief of the area and still belong to their family - your guide will be a descendant of Kawiti too! 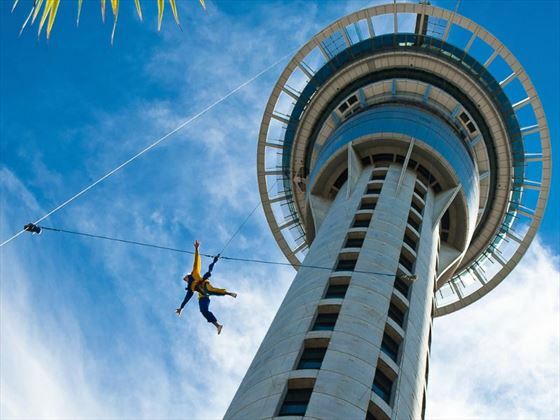 Afterwards you’ll return to Auckland Viaduct where your tour will end. 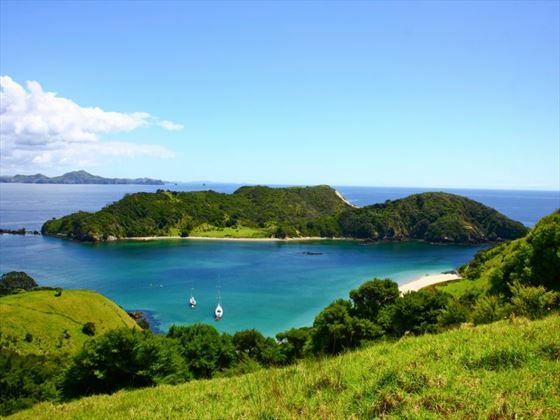 Excursions as listed: Northland’s Kauri Museum, walk with Maori guides through Waipoua Forest - visit Tane Mahuta (Lord of the Forest), relaxing and picturesque cruise across the Hokianga Harbour, swim with dolphins or cruise to the Bay of Islands Hole in the Rock, visit Kerikeri’s iconic Stone Store, learn about New Zealands history on a visit to the Waitangi Treaty House, marvel at the Kawiti Caves and their luminous glowworms. 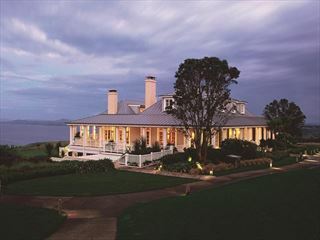 Set in a stunning location overlooking the majestic beauty of the Pacific Ocean and Cape Brett, this charming porperty is a unique and charming place to stay close to the Bay of Islands.